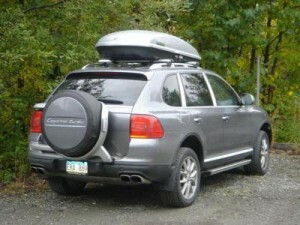 When the Cayenne first came out, Porsche really had no idea what the hell they were doing. Evidence of this includes the attempt to make it both the best off-road SUV in the world and the best-handling SUV in the world, resulting in creating little more than the heaviest SUV in the world. 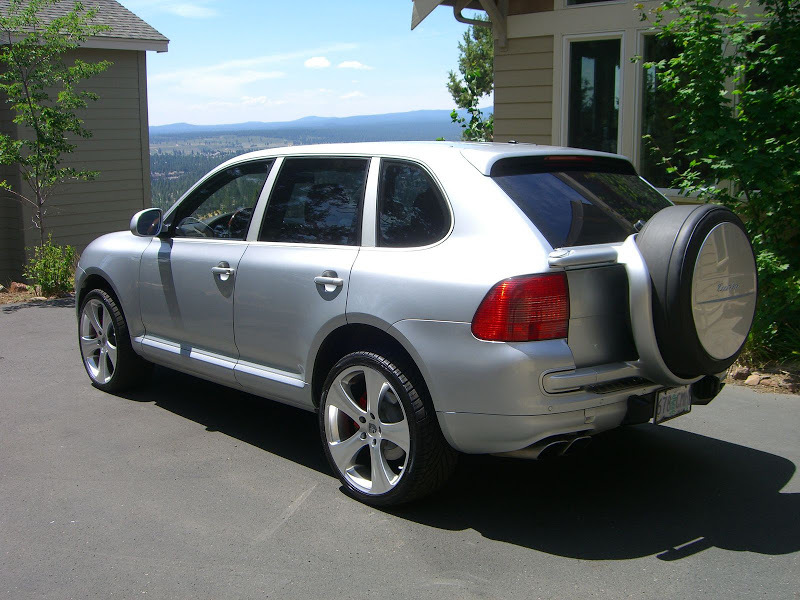 If you’re still not convinced Porsche was out of its element in the SUV world, check out today’s feature fail: the Cayenne’s rear-mounted spare tire. 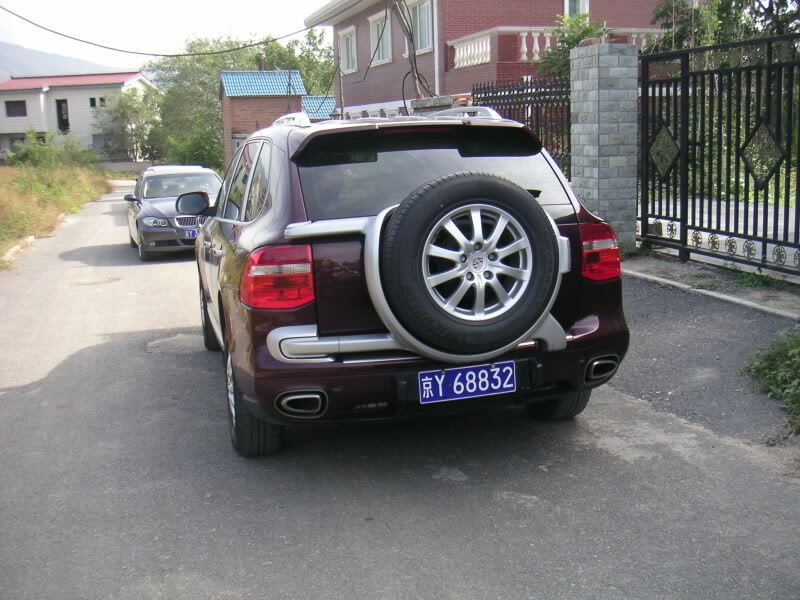 Yes, that’s right: the first few years of Cayenne production included a rear-mounted spare tire option, sort of like the old-school Land Rover Discovery. 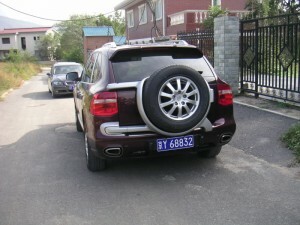 The rear-mounted spare was exactly as you might expect: tremendously cumbersome. And since you had to move the heavy housing and tire before you could open the rear hatch, you couldn’t back into parking spots if you wanted to load anything into the cargo area. The rear-mounted spare was actually an option, and a rather expensive one. (I can’t remember the figure, but easily above $1,000.) 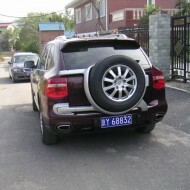 And since it extended the length of the car – at the expense of visibility – the spare made it easier to back into solid objects. Of course, this damaged the housing, which is probably on back order until they can get at least five orders for it. In other words, never. Obviously, Porsche dropped the option after only a few years. But there are still a few Cayennes roaming around out there with rear-mounted spare tires. For years, automakers have tried to pawn off three-spoke wheels on American car buyers, nearly all of whom have roundly rejected the wheels provided they have any taste. 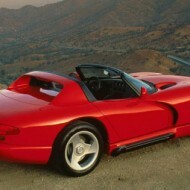 Let’s take a trip down memory lane to remind ourselves of some of the bad – and really bad – three spoke wheels of old.